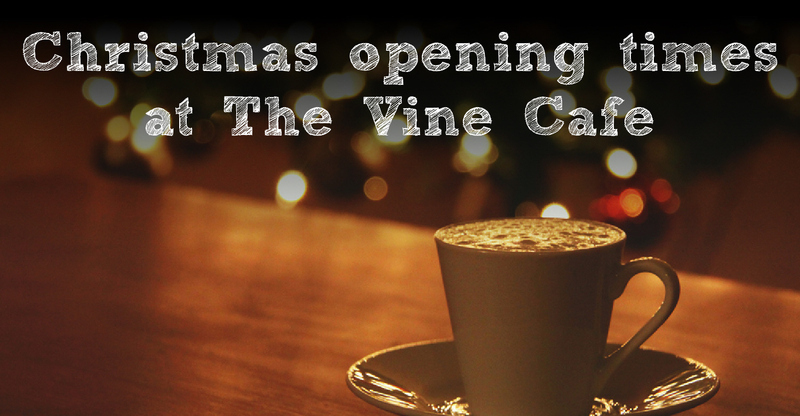 Over the Christmas period, The Vine Cafe’s going to be closed for a few days, while we celebrate Christmas. We’ll be closing early on Christmas Eve, and then we’ll be closed until Monday 5th January, when we’ll be open our normal opening times. Thank you for your support & commitment to us over this last year. If we don’t see you before Christmas, we hope you have a very happy Christmas, and we look forward to seeing you in the new year! Previous: Previous post: What would you ask the characters in the Christmas story? Next: Next post: Christmas: What sort of God does this sort of thing?